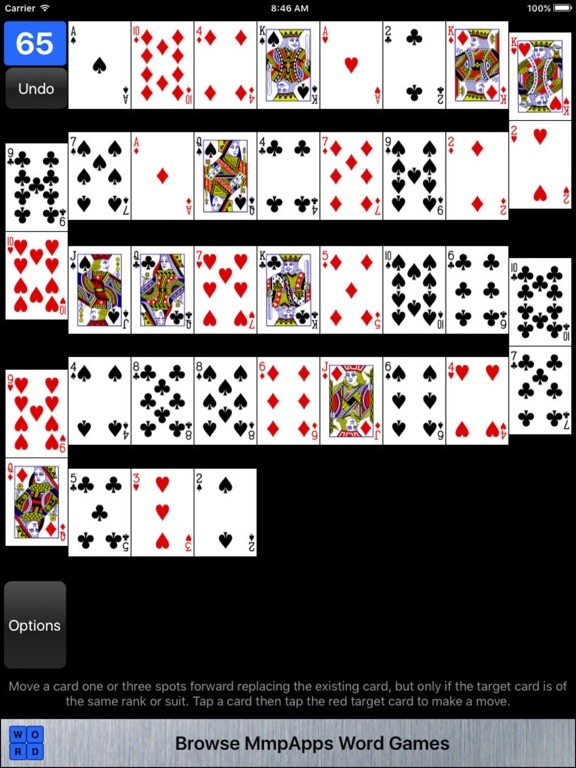 Four solitaire games with the same layout but different rules. 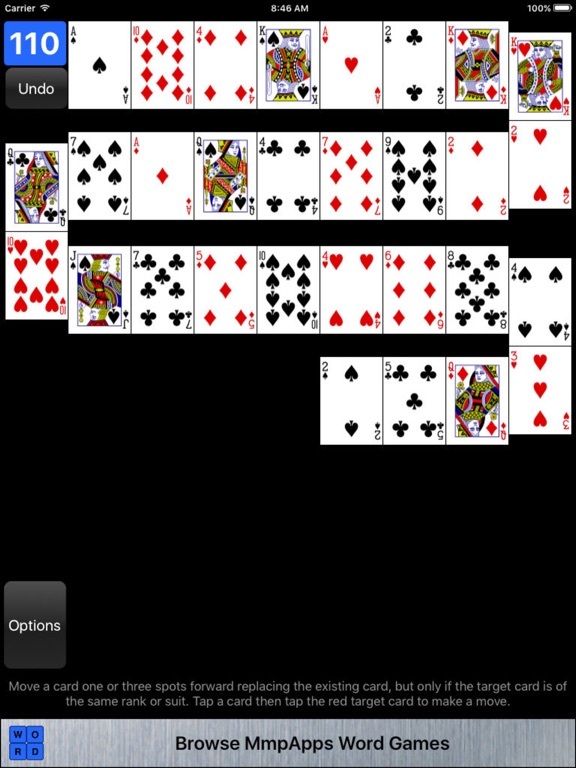 In each case the object is to remove cards from the board by pairing cards. Totally free. No in-app purchases. ACCORDION - Pair cards of the same suit or rank that are 1 or 3 spots apart. Only one card is removed. CONCERTINA - Pair cards of the same suit or rank that are 1 or 3 spots apart. Both cards are removed. 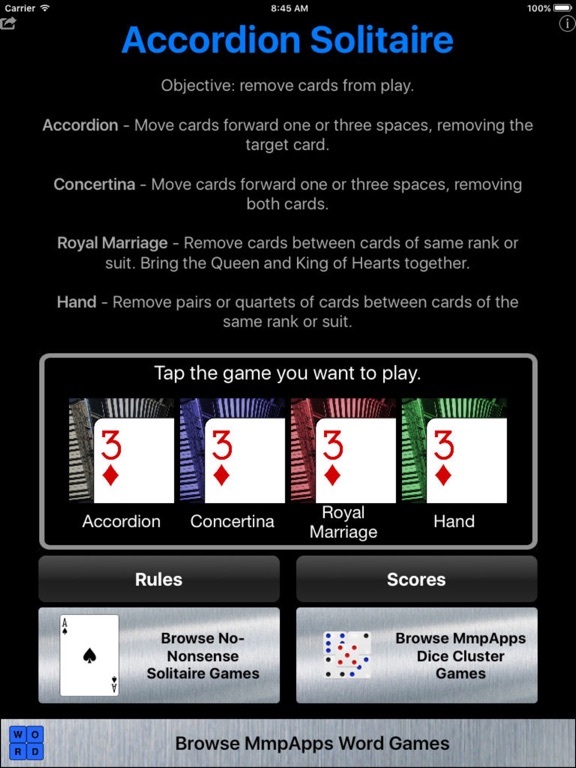 ROYAL MARRIAGE - Remove cards that are between two cards of the same rank or suit. 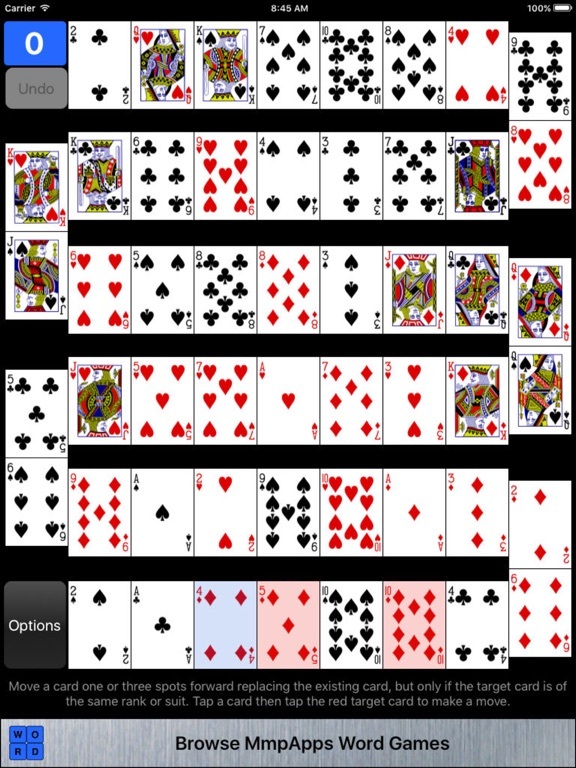 HAND - Remove pairs of cards between two cards of the same rank or suit.